New HART Newsletter Released Today! We are delighted to announce the release of HART’s latest newsletter. Download your copy here! 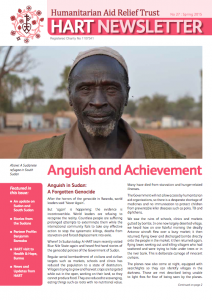 This edition focuses on the situation in Sudan and South Sudan. We wanted to share some of the stories we heard on our visit earlier this year, and the perspectives of those we met. We also want to give you a glimpse of the ways in which your support is helping communities in Sudan and South Sudan. – Other news and updates from HART. You can download the newsletter just below. 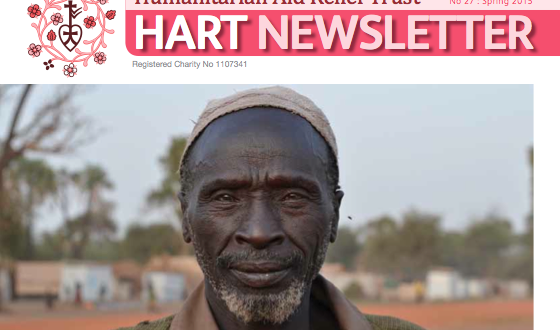 If you would like a paper copy, or to read the articles in large print, please contact alice.robinson@hart-uk.org.